Christine Hoyer from the Trails Forever program recently posted a couple of photos highlighting some of the progress being made on the Chimney Tops Trail. It looks like they are making some major improvements, and I'm really looking forward to hiking up there once the project is completed. The combination of heavy use, abundant rainfall, and steep terrain had turned the trail into a badly eroded obstacle course of slick, broken rock, exposed tree roots and mud. The hazards that existed on the trail encouraged hikers to pick their way across the uneven surface or to divert them off the edges of the trail, thus causing extensive erosion and resource damage. The Park's Trails Forever Crew is currently rebuilding the trail using rock and timber. Work includes: constructing rock steps to carry hikers up the steepest areas and to prevent erosion; building elevated "turnpikes" - logs laid parallel and packed with dirt to carry the trail across wetland areas, and creating numerous "waterbars" - logs or stone partially buried diagonally across the trail to divert rainwater off the trail before it can erode the walking surface. Park managers say that the extensive use of durable stone and rot-resistant black locust timbers in the reconstruction will stabilize the trail for decades to come, reducing annual maintenance, and greatly improving the visitor experience. Through October 18th, the trail is closed each Monday through Thursday while crews give the trail a facelift. To see all of the photos posted on the Trails Forever website, please click here. For more information on hiking the Chimney Tops Trail, please click here. This summer's early drought has prompted the London Ranger District in the Daniel Boone National Forest, including all campgrounds around Laurel River Lake, to implement a mandatory food storage order in an effort to prevent possible interactions between bears and visitors. The drought has impacted the availability of black bears' natural foods, and as those foods have diminished, bear sighting reports have increased considerably in the London Ranger District. Forest visitors must store food inside a hardtop vehicle or bear-resistant container when not cooking or eating. Burning or burying food, trash or any other bear attractant is prohibited. "In most areas of eastern Kentucky, this summer's wild berry crop disappeared quickly," said Steven Dobey, bear biologist for the Kentucky Department of Fish and Wildlife Resources. "This is a very important food source for this time of year and with it gone, bears are roaming extensively in search of alternate foods." July is also the end of the breeding season for bears so, in conjunction with the shortage of natural foods, the natural tendency for male bears to travel is at a peak right now. Ultimately, this creates a heightened potential for human-bear interactions, and often in places typically not frequented by bears. "Just 10 years ago it was a rarity to even see a black bear in Kentucky," said Dobey. "Today, there is potential for regular sightings in any county east of the Daniel Boone National Forest. Contrary to popular belief, bears were not stocked in eastern Kentucky. Their natural return is a true wildlife success story and a testament to the overall health of Kentucky's forests." Join avid hiker and Great Smoky Mountains Association employee Robyn Whitted on Saturday, August 18th, for a high elevation hike along the Flat Creek Trail on the North Carolina side of the Smokies. You'll meander through "elfin" forests and take in some wonderful scenic views. Let your senses drink in the sights, sounds, and fragrance of a spruce and hemlock forest. This section of the park was heavily logged in the early 1900s. There are some stream crossings along the way and you'll encounter a second growth forest of serviceberry, maple, hawthorn, cherry, birch, and American beech - all creating good nesting habitat for a variety of birds, including brown thrashers and rufous-sided towhees. Robyn has been a seasonal interpretive ranger at Great Sand Dunes National Park and Buffalo National River. She recommends you come prepared with sturdy hiking boots, a steady hiking stick, and rain gear. Bring snacks and water and a picnic lunch to enjoy after the hike at the Heintooga Picnic Area. And by all means don't forget your sense of adventure! Participants from the Tennessee side are asked to meet at Sugarlands Visitor Center by 9:00 am to carpool. Those from the North Carolina side should gather at the Heintooga Picnic Area by 10:30 am. Reservations are required and participation is limited to 20. Call 865-436-7318, ext. 222 or 254, to register. Below is a pretty good video of the storm that pummled the Smokies on July 5th. The video was produced by the Great Smoky Mountains Association, and shows footage of the storm itself, including images from the Foothills Parkway Lookout Tower, damage from the storm, as well as radar images of the storm as it progressed across the region. For a full accounting of all the damage from the storm, please click here. For a list of trails that remain closed as a result of the storm, click here. The National Parks Conservation Association (NPCA) and Nature Valley (Preserve the Parks) are partnering with the Southern Appalachian Highlands Conservancy to improve song bird habitat and protect water quality on the scenic and historic Cataloochee Ranch in Haywood County, North Carolina this Saturday. Cataloochee Ranch is a three-generation, family-run operation that has protected more than 300 acres of high elevation land adjoining Great Smoky Mountains National Park. Over the course of 2011, partner groups helped volunteers and crew members remove almost 45 acres of invasive plants within and adjacent to Great Smoky Mountains National Park. Native tree seedlings were also planted along the banks of waterways flowing into the Park to improve water quality and safeguard four federally protected native fish species — the Spotfin Chub, the Duskytail Darter, the Smoky Madtom and the Yellowfin Madtom. * Work in conjunction with the Southern Appalachian Highlands Conservancy to support habitat restoration on 500 acres of private land adjacent to the Park. * Attract migratory songbird populations by feathering the forest edge of high-elevation pastures. * Rehabilitate and repair the damage to landscape caused by foraging wild hogs. * Continue to remove invasive, non-native vegetation like Oriental Bittersweet, multiflora rose, privet and garlic mustard, among others. * Work with the American Chestnut Foundation to reintroduce native Chestnut trees into the Southern Appalachian landscape. For this restoration event, volunteers will enhance habitat for migratory song birds by feathering the forest edge along pasture boundaries and removing invasive plant species. Volunteer groups will also focus on improving a section of a popular horse and hiking trail (Tom’s Stand Trail) to help protect water quality adjacent to the park. The volunteer opportunity is this Saturday, July 28th, from 9:00 a.m . – 2:00 p.m. For directions to Cataloochee Ranch or to register as a volunteer, please contact Margot Wallston at (828) 253-0095 ext. 212 or margot@appalachian.org by Thursday, July 26th. NPS Digest is reporting this morning that a hiker had to be rescued from the backcountry of Shenandoah National Park a couple of weeks ago. On July 7th, park PSAR (preventive search and rescue) staff received a report of a 24-year-old hiker in distress on the Saddle Trail portion of the popular Old Rag Mountain circuit. Arriving EMS personnel found that she was unconscious and showing signs of the latter stages of heat stroke and that she needed rapid extrication from the backcountry. Temperatures in the park at the time were in the upper 90’s with high humidity, which both exacerbated the woman’s illness and hindered rescue efforts. Old Rag is a challenging hike, particularly on a hot day with the rock scramble portion of the hike offering little shade during the midday heat. The evacuation via wheeled litter took over two hours, during which EMS staff provided constant care. The woman was flown to the University of Virginia Medical Center, where she’s expected to recover fully. Great Smoky Mountains National Park is currently recruiting volunteers to help staff the visitor contact station at Clingmans Dome through November 30th. The visitor station at Clingmans Dome sits at an elevation of 6,300 feet and is a point source of information for the national park and the high elevation spruce fir ecosystem, in particular. Volunteers are needed to assist in educating visitors about the Park while also providing recreational, trip planning, and directional information. The information center, constructed by the Civilian Conservation Corps, originally served as a comfort station, but was converted into a seasonal information center in 2010. It also includes a bookstore area managed by the Great Smoky Mountains Association. Volunteers will be working alongside Great Smoky Mountains Association employees and are asked to work at least one, four-hour shift per week through November. The hours will be from 11:00 a.m. to 3:00 p.m. Interested persons will be provided with an orientation and training before beginning at the contact station. Training is scheduled for Tuesday, August 14, 2012. To sign up for training or for more information, contact Florie Takaki, Monday through Fridays, at 828-497-1906. Friends of the Great Smoky Mountains and the Backcountry Horsemen of Big Creek recently sponsored a stock-oriented Leave No Trace master educator course and Leave No Trace backcountry packing clinic in the park. Leave No Trace (LNT) is an outdoor ethics program that trains all users to minimize impacts in the backcountry. The stock-oriented LNT courses specifically provide training in common practices and proven methods to reduce stock impacts. The master educator course focuses on minimum impact general stock use in both backcountry and frontcountry settings. Upon completion of the course, students are certified as LNT master educators and can present programs, teach classes and certify others as stock-oriented LNT trainers. Instructor Bob Hoverson has been a professional packer and stock manager for 42 years and has taught LNT for over 20 years. In addition to teaching minimum impact techniques, the backcountry packing clinic also teaches students how to pack mules and horses in the safest, most efficient manner possible. The course ends with an overnight pack trip, during which students have the opportunity to demonstrate newly acquired packing skills. This is the first time the packing clinic has been taught east of the Mississippi. It is only the second time the stock-oriented master educator course has been taught east of the Mississippi and is a first in the Deep South region. For more informational about stock-oriented Leave No Trace presentations, programs and courses call Christine Hoyer at 828-497-1949 or Melissa Cobern at 865-436-1264. The North Carolina Wildlife Federation has raised the stakes in the recent killing of three elk near the Great Smoky Mountains National Park in the Mount Sterling area of Haywood County. Last month the group offered a $5,000 reward. That amount has been bumped significantly to $20,000. The conservation organization has pledged up to the new amount to a person(s) who provides information about the elk killings that directly leads to an arrest, a criminal conviction, a civil penalty assessment, or forfeiture of property by the subject or subjects responsible. The three elk were killed around May 18th, one bull with a .22 caliber firearm, a cow with a birdshot from a shotgun, and a pregnant cow with a undetermined gunshot. In May of 2011 a bull killed that even had a tag in its ear marked with the number 16. "We feel strongly that this malicious and cowardly act of illegal activity has no place in NC," said Tim Gestwicki, executive director of the North Carolina Wildlife Federation. "We are upping the ante to hopefully entice anyone with information to come forth. We are providing these resources to underscore the seriousness we place on the poaching of this iconic species." The poached elk were part of a reintroduction program by the Great Smoky Mountains National Park that began in 2002. Initially 25 elk were brought to Cataloochee Valley where the herd has grown to 140 but have now spread beyond the park boundary. People come from far and wide to view the elk, significantly supporting local tourism. Anyone with information is encouraged to call the North Carolina Wildlife Resources Commission toll free wildlife violations number at 1-800-662-7137. Any awarded monies do not have to be made public to anonymous tips. The North Carolina Wildlife Federation formed in 1945 when sportsmen from around the state worked for the establishment of a science-based wildlife management agency. Those efforts came to fruition when, in 1947, the General Assembly authorized the North Carolina Wildlife Resources Commission. Tennessee Department of Environment and Conservation Commissioner Bob Martineau and Deputy Commissioner Brock Hill today announced the premiere of Tennessee State Parks’ new traveling anniversary exhibit that will take state parks’ unique history on the road. Beginning this week, the traveling exhibit will tour state parks and various communities in honor of Tennessee State Parks’ 75th Anniversary. Enclosed in a colorful trailer emblazoned with Tennessee State Park images and logos, the exhibit interprets the origins and heritage of the park system. Programs such as the Civilian Conservation Corps, the Works Progress Administration, and elements of the U.S. departments of Agriculture and the Interior are highlighted, telling the story of how their efforts helped shape not only many of Tennessee’s own state parks, but most state park systems across the country. From obtaining land and building infrastructure to creating an environment for state park movements to flourish, these state and federal efforts were key components in creating the park system we enjoy today. The National Park Service also played a large role in planning and organizing the overall effort and obtaining the individual parcels that were destined to become state parks. From there, states committed to taking on the land ownership and the responsibility for resources, land bases and infrastructure, along with the responsibility for the long-term management and stewardship of these properties. The Tennessee Department of Conservation and its Division of State Parks, formally known as TDEC today, filled this need for the state of Tennessee when the Origin Act for these organizations and their responsibilities was passed 75 years ago. Tennessee was one of a handful of states that stepped up at an early time to take on its responsibilities to provide protection for its natural, cultural and outdoor recreation resources. Most Tennesseans now have a state park within an hour’s drive and in most cases more than one type of park to visit, representing a healthy state park system of diverse parts and opportunities. While providing a wide range of outdoor recreational opportunities, Tennessee State Parks represent the state’s heritage in the landscape – reflecting not only the diversity of Tennessee's geologic and ecological regions, but also the diverse stories that span over 200 years of state history and the region’s incredible pre-historical presence. Tennessee State Parks’ new traveling exhibit is based out of a trailer on loan from the Tennessee Wildlife Resources Agency. The exhibit’s artwork, displays and interpretative panels were designed and coordinated by Tennessee State Parks’ Chief Historian Ward Weems, with assistance from the Tennessee Department of Environment and Conservation and volunteers from both the private and public sectors. Tennessee's 54 state parks and 82 state natural areas offer diverse natural, recreational and cultural experiences for individuals, families or business and professional groups. State park features range from pristine natural areas to 18-hole championship golf courses. For a free brochure about Tennessee State Parks, call toll free at 1-888-867-2757. To find out when Tennessee State Parks’ new traveling exhibit will be in your area or for details about upcoming events in connection with the 75th Anniversary, please visit the state parks website at www.tnstateparks.com. In commemoration of the 75th Anniversary of Tennessee State Parks, the Tennessee Department of Environment and Conservation launched an innovative new microsite at www.tnstateparks75.com. Established in partnership with the Tennessee Department of Tourist Development, the microsite displays Tennessee State Parks’ rich heritage and showcases the many outdoor adventures awaiting state park visitors through rich media and dynamic content. To commemorate the 75th Anniversary of the completion of the Appalachian Trail (A.T.), the Appalachian Trail Conservancy (ATC) is hosting a video contest to find out what people love most about the A.T. 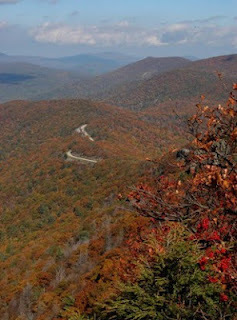 The contest entitled “Why Do You Love the Appalachian Trail?” is currently accepting submissions until September 2, 2012. The grand prized winner will receive several prizes including the opportunity to have their video screened in theaters during the ATC’s membership drive this fall. With over 2-3 million people hiking the A.T. each year, the ATC is providing the opportunity for the public to share what they enjoy most about the A.T. with the rest of the world. Videos must be no longer than three minutes and must answer the question, “why do you love the Appalachian Trail?” Each participant can only submit one video and must adhere to the ATC’s Leave No Trace™ principles. The ATC’s Facebook fans will have the opportunity to vote for their favorite videos. The top three videos receiving the largest number of votes will be awarded prizes. The grand prized winner will have their video screened in theaters at this year’s “Discover the Appalachian Trail” fall membership drive. Videos will be accepted until September 2, 2012. Voting period begins on September 4 and will run until October 5. The top 3 videos will be announced on Monday, October 8. For more information or to submit a video, visit www.appalachiantrail.org/videocontest. • West Prong Trail from Tremont Road to Campsite #18. This trail is open from Bote Mountain Trail to Campsite #18. The campsite is also open. The Parson Branch Road is also closed and may affect access to trailheads. To keep up with all the latest information, please click here. The Tennessee State Parks system has lifted a temporary ban on backcountry campfires in state parks, which was put into place June 29, 2012, due to dry weather conditions and the potential for wildfire hazards. Today’s announcement is consistent with the Department of Agriculture’s recent action to lift some of the county burn bans throughout the state. For an up-to-date list of the Department of Agriculture’s current county-by-county fire bans, please click here. Tennessee State Parks management team also encourages all state park visitors to immediately report a fire or what could be a potential fire danger to 911. If a Tennessee State Parks’ office or ranger station is nearby, also report to these appropriate locations. * Use designated areas - Campfires in Tennessee State Parks must be contained within designated grills or fire grates. * Be responsible - Never leave a fire unattended, even for a minute. Don't allow children and pets near the campfire and never leave them unsupervised. Be aware that smoking poses a fire danger. Do not throw cigarettes on the ground or dispose in a flammable container. * Play it safe - Keep a bucket of water and a shovel nearby. Stack extra wood upwind and away from the fire. After lighting, do not discard the match until it is cold. * Do it right the first time - Learn how to safely start a fire. Never use flammable liquids to ignite or keep your fire burning. This means avoid gasoline, diesel fuel, lighter fluid and other dangerous fuels. * Be aware of your surroundings - Avoid starting a fire underneath low-hanging branches or shrubbery. Fires can often flame higher than you anticipate. Keep your fire away from anything flammable, such as dry grass, tents, paper plates, napkins and camping gear. * Watch the weather - Be aware that hot embers can re-ignite the fire if strong winds are present. * No fireworks - Fireworks of any kind are prohibited within the Tennessee State Parks system, except public displays approved by Tennessee State Parks officials in partnership with local government. * Put it out - Make sure your campfire is completely extinguished before leaving a campsite or before bedtime. Always have on hand things to put out your fire such as water, a shovel and a fire extinguisher. Tennessee's 54 state parks offer diverse natural, recreational and cultural experiences for individuals, families or business and professional groups. State park features range from pristine natural areas to 18-hole championship golf courses. For a free brochure about Tennessee State Parks, call toll free at 1-888-867-2757. For additional information, visit: www.tnstateparks.com. Usher in the first day of autumn with the Shenandoah National Park Trust at The Shenandoah Scramble on Saturday, September 22. Hikers of all ability levels are invited to chose one of six guided hikes of varying length and difficulty in the national park. Participants will gather for a light breakfast and then head out to hike with their group and hike leader (each hike can accommodate up to 20 hikers). SNPT leaders are CPR/First Aid or Wilderness Safety certified. They know and love Shenandoah National Park and will provide a wonderful experience. Participants will reconvene for refreshments after their hikes. Registration is $25 and hikers will agree to raise a minimum of $100, which will support projects and programs in Shenandoah National Park. Registration includes the group breakfast, post-hike refreshments and a Shenandoah Scramble t-shirt. To inspire participants, Shenandoah National Park Trust will award prizes– including a kayak, hiking and camping gear and a 2-night stay offer for two in the national park– to the hikers who raise the most money. Your adventure starts now! Set your fundraising goal and register and collect and track pledges here. You’ll even be able to customize a fundraising page to send to family, friends and colleagues to help you reach your fundraising goal! For more information, contact Susan Sherman, Executive Director of Shenandoah National Park Trust at 434-293-2728 or ssherman@snptrust.org. You can check in with the latest updates on trail closures by clicking here. The Woody Gap Trailhead, located in Union County at the intersection of Hwy 60 and the Appalachian Trail in the Chattahoochee-Oconee National Forest, will close on Monday, Aug 13, and will reopen on Saturday, Aug 18 to allow crews to repave the parking area. This closure includes both parking areas located on each side of Hwy 60. The Chestatee Overlook, located in Lumpkin County south of Woody Gap along Hwy 60, will close beginning Monday, Aug 20, and will reopen on Saturday, Aug 25 to allow crews to repave that parking area. The areas will be clearly marked with notices two weeks in advance of the closures. Any vehicles parked in the lots during the closures will be towed at the owners’ expense. Alternate access points to the Appalachian Trail include Neels Gap on Hwy 129, Amicalola Falls access trail off Hwy 52, and other access points along Forest Service 42. Local outdoor enthusiasts Nate Ballinger and Ryan Lubbers have written a comprehensive hiking guidebook for the Hickory Nut Gorge, one of the Southeast's most spectacular natural areas. A Hiker's Guide to the Hickory Nut Gorge includes some of Western North Carolina's greatest hikes at Rumbling Bald, Chimney Rock, Lake Lure, Bearwallow Mountain, Bat Cave, and the Florence Preserve, among other areas. It contains over 35 trail descriptions, 100 color photos and 19 color maps. Within the last five years there has been major land acquisitions consisting of thousands of acres by various land management agencies. Lands have been secured throughout The Hickory Nut Gorge including: Lake Lure, Chimney Rock, Bat Cave and Gerton. However, until now, information available to the public was scattered, misleading and often times incorrect. This resulted in accidental trespassing on private lands while leaving some public hiking areas completely ignored on beautiful weekend afternoons. 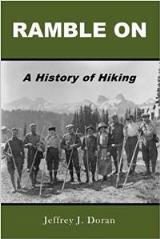 This book clearly illustrates what trails are currently open, how to access the trailhead and other site-specific information needed to plan a successful hike and outdoor adventure in the Hickory Nut Gorge. with the most current and accurate information you will need. Cataloochee is a beautiful, fairly remote valley nestled on the North Carolina side of Great Smoky Mountains National Park. Known today for the elk reintroduction program, Cataloochee was once a farming community complete with a school, church, post office, and store. Of the nearly 200 structures that once stood in Cataloochee, only a handful remain. This is the park's best remaining example of historic frame construction. What are the deadliest animals in the United States? Dr. Joseph Forrester and some of his colleagues from the Centers for Disease Control and Prevention (CDC) recently answered that question in a paper titled "Fatalities From Venomous and Nonvenomous Animals in the United States (1999–2007)." 1) Mammals, including cats, cows, horses, pigs, raccoons, and other hoofed animals. 2) Hornets, wasps, and bees. 4) Nonvenomous insects or nonvertebrates. 5) Nonvenomous snakes and lizards, alligators, or crocodiles. 7) Venomous arthropods that weren't spiders, scorpions, centipedes and millipedes. 8) Venomous snakes and lizards. Interestingly, bears didn't even make the top 10! The Outisde Magazine blog has a break down on the number of deaths associated with each of these categories if you wish to look more in depth at the study. The National Park Foundation and their partners are once again promoting the Share the Experience photo contest. 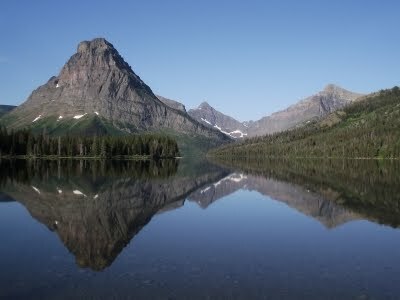 The annual contest is the largest national park and public land photo contest for amateur photographers, and runs now through December 31, 2012. The annual contest, now in its 12th year, provides an opportunity for amateur photographers to submit pictures taken at any federal lands site for the chance of having their image selected for use on the America the Beautiful Federal Recreation Lands Pass. Approximately 500,000 passes are utilized annually. Great Smoky Mountains National Park is recruiting for volunteers to participate in the Adopt-a-Cabin (AAC) program, which will provide light maintenance on selected cabins among the Park s over 90 historic structures. The AAC program joins a number of Volunteers in Park (VIP) programs which utilize volunteers for such park operations as trail maintenance and campsite clean-up. 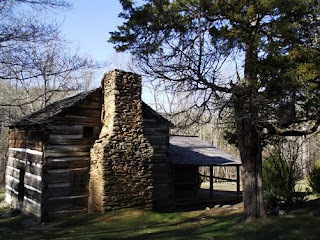 Great Smoky Mountains National Park holds one of the best collections of log buildings in the eastern United States. Houses, barns, outbuildings churches, schools and grist mills have been preserved or rehabilitated and are popular destinations for park visitors. Regular clean-up of these buildings is needed to remove trash, debris and graffiti which are often left behind by park visitors. AAC volunteers will be assigned to a specific building and are expected to visit the structure at least once a month to sweep, wipe and dry walls with a light dishwashing solution, clean the windows, and remove graffiti using a special removal solution. A work report will be required for each trip so the Park can track the maintenance performed and help assess needs. For more information on the AAC program, or to sign up as a park volunteer, please contact Dana Soehn, Volunteer Coordinator, at 865-436-1265. This program is supported through donations to Friends of the Smokies, which will provide $1,100 in 2012 for this new volunteer opportunity in Great Smoky Mountains National Park. Wade in the Water is an early 1900s spiritual song with melodic lyrics and a soulful tune. Two popular theories have been attributed to its meaning. Some say this song contained route information for escaping slaves while others say it talks about the biblical tale of the Israelite’s frantic escape from Egypt through the Red Sea. Whatever you believe the song means, you know there is something almost magical about wading in the water on a hot summer day. The refreshing, inviting waters of a natural water hole or fresh mountain stream cannot compare to any indoor pool or hot tub. These swimming holes are often tucked into a shady mountain nook or found along a winding trail, delighting the weary hiker when he or she stumbles upon this beautiful place to relax, refresh and invigorate. There is a growing body of evidence to support what any wilderness lover would be quick to tell you: nature heals. The act of being in the great outdoors away from the hustle and bustle of the city has a profound effect on your body, mind and spirit. When nature is combined with water the results are profound. Not only does the natural environment relax the body, calm the mind and nourish the spirit, being in springs and waterholes eases tension on the muscles, allows for greater movement of stiff joints and stimulates the blood’s circulation. By now you should be packing your bags for a healing, wilderness escape, but before you get behind the wheel, let us entice you further with information about Gatlinburg and the Great Smoky Mountain’s swimming holes – all of which are located in beautifully preserved natural settings. The dark, sparkling waters of the aptly named Midnight Hole lie inside the Great Smoky Mountains Natural Park and can easily be found after a 1.4 mile scenic hike up a historic railroad grade. The swimming hole at the base of Abrams Falls is a sparkling 100 foot deep pool fed by a stunning 20 foot high waterfall. This location is so spectacular one has to remember to stop taking photographs and go for that dip in the water! The Midnight Hole and Abrams Falls require a bit of a hike to access. If you have limited mobility or are travelling with small children, you will enjoy the Greenbrier Swimming Holes and the Townsend Y Swimming Area, both of which are accessible with a vehicle. When you have the urge to let nature take your worries away, come wade in the water of Gatlinburg’s swimming holes and mountain streams. The staff of Elk Springs Resorts can give you directions to these magnificent wonders and suggest many other trails and points of interest as well. Discover the healing power of nature by booking your trip to Elk Springs Resort. Elk Springs Resort / 1088 Powdermill Road / Gatlinburg, TN 37738 / Phone: 865-233-2390 / Enjoy privacy and mountain views while relaxing on your vacation in one of our secluded luxury cabins located in a private 68 acre resort setting. We're nestled in the historic Arts and Crafts Community and border the Great Smoky Mountains National Park. On Thursday July 5th, a line of severe and fast moving thunderstorm cells struck the western half of the park generating wind gusts in excess of 70 mph. Within minutes thousands (perhaps tens of thousands) of trees fell on the roads and trails in the park. Preliminary reports indicate that the hardest hit areas stretched from Metcalf Bottoms to Abrams Creek, including the Cades Cove area. Park staff are still working to clear roads, and have begun assessing trails, but due to the extensive and widespread damage, it may be several weeks before a full trail assessment can be completed. Trail status will be changing frequently. Please check this page before planning a hike, or stop by a visitor center, ranger station, or the Backcoutry Office for the latest information. You may also call (865) 436-1231 or (865) 436-1297. Do not endanger yourself or others by using any trails that have been closed. When hiking on open trails, please be especially observant to the hazards associated with fallen, broken, or weakened trees and damaged tread on all trails. Warning: A severe storm on July 5, 2012, resulted in downed trees on park trails. Preliminary trail assessments indicate that thousands of trees have fallen along hundreds of miles of trails throughout the western half of the park. 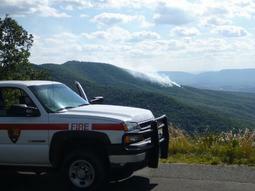 The worst damage is in the northwest section of the park which includes the Cades Cove area. Due to the widespread damage, it will likely be several weeks before full trail assessments can be completed. Initial indications are that several trails received significant damage, including the Chestnut Top Trail, of which a two-mile section has essentially been lost. The magnitude of the storm damage will most likely result in the closure of all or portions of several backcountry trails in the area. To possibly gauge the current situation, keep in mind that the Beard Cane Trail, Hatcher Mountain Trail and Backcountry Campsites 3, 11 are still closed as a result of the tornado from April 27, 2011. • Chimney Tops Trail will be closed Mondays through Thursdays, until October 18, for trail rehabilitation. • Caldwell Fork Trail - the number eight footbridge along the trail is out. Hikers wishing to use the trail will need to ford the creek. • Smokemont Loop Trail/Bradley Fork Trail - the foot bridge located at the junction of these trails is out and scheduled to be replaced by the end of July. • Middle Prong Trail - The first bridge on this trail has undergone temporary repairs. Stock users are advised to walk stock across the bridge. The Friends of the Smokies Classic Hikes of the Smokies series continues next month with a hike to Mt. Cammerer. From Davenport Gap, take the A.T. south for 5.1 miles. Take the Mt. Cammerer Trail for 0.6 mile. Preserving the Mt. Cammerer tower was the beginning of Friends of the Smokies--and who was Arno B. Cammerer anyway? Even your leader calls this a strenuous hike. We'll take it steady and slow. Don't have any plans for the evening. For more information on the hike to Mt. Cammerer, please click here. Numerous trails have also been impacted as well. I'm not sure when the park will be releasing a full list of closed trails, but I'm sure their first priority is to reopen roads. I did read that the Chestnut Top Trail received significant damage. To keep up with the latest closures and reopenings, please visit the park temporary road closures page. This summer join rangers from the Blue Ridge Parkway as they will again be leading guided hikes through Rock Castle Gorge. The five mile hikes will highlight the history of the Rock Castle community that existed in this area from the late 1700s through the 1930s. Participants will meet at the Rocky Knob Cabins off of Woodberry Road (near Milepost 174). Hikers are asked to wear good hiking boots, be prepared for stream crossings, and bring water and lunch. The hike will end at the lower end of Rock Castle Gorge Trail at the CCC Camp Road off of VA Route 8. Shuttle back to cars will be available for drivers, or you may set up your own shuttle ahead of time. Call ahead at 540-745-9662 for more information. The National Park Service is accepting public comments pertaining to development of the Cumberland Parks Forest Pest Management Plan Environmental Assessment (EA). 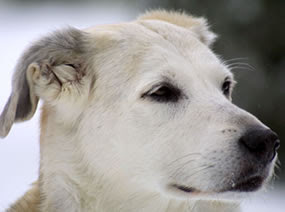 The scoping period will begin July 1, 2012, and extend through August 1, 2012. Comments will be used to assist the parks in developing and evaluating feasible alternatives and analyzing the environmental consequences of each alternative. 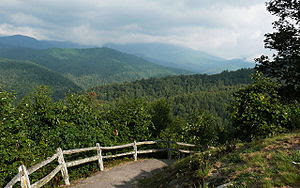 The National Park Service is planning to prepare an Environmental Assessment (EA) for a Forest Pest Management Plan for the following parks located in the Southeast Region: Abraham Lincoln Birthplace National Historic Park (KY), Andrew Johnson National Historic Site (TN), Big South Fork National River and Recreation Area (TN/KY), Chickamauga and Chattanooga National Military Park (GA), Cumberland Gap National Historical Park (KY/TN/VA), Mammoth Cave National Park (KY), and Obed Wild and Scenic River (TN). The Cumberland Parks Forest Pest Management Plan EA will be based on sound integrated pest management (IPM). Integrated pest management is defined as a decision-making process that coordinates knowledge of pest biology, the environment, and available technology to prevent unacceptable levels of pest damage, by cost-effective means, while posing the least possible risk to people and park resources. The purpose of the plan is to identify long-term management tools to reduce the impacts of (or threats from) invasive pests to natural and cultural resources and provide opportunities for restoring native plant communities and cultural landscapes. The EA is intended to provide strategies for park staff to manage present and emergent forest pests within the designated boundaries of the parks. An EA will be prepared in compliance with the National Environmental Policy Act to provide the decision-making framework that analyzes a reasonable range of alternatives to meet project objectives, evaluates issues and impacts to park resources and values, and identifies mitigation measures to lessen the degree or extent of these impacts. What to do during a windstorm while hiking? In light of the devastating windstorm that struck the Great Smoky Mountains Thursday evening, I have been wondering what a hiker should do if a severe windstorm were to hit while out on the trail. I did a few Google searches but could not find any advice. My first question is what you should do if you're out on the trail, in the middle of the forest, miles from your car, and a severe windstorm hits? Running back to your car doesn't seem to be an option. Assuming you don't have meadow, a cave, a rock outcropping, or a steep embankment to use as a shelter, I'm thinking getting behind the largest (live) tree you can find might be the best thing you can do. I'm assuming you would have time to get out of the way if that tree were to fall. Of course I really don't know the answer to this question - any thoughts from anyone? My second question: What do you do if you're driving when the storm hits - such as on Little River Road or Laurel Creek Road? Do you keep driving and hope to find a pull out or clearing in the tree canopy? Do you stop and get on the floorboard of your car? Get underneath the car? The last two options may protect you if a smaller tree falls on your car, but I'm not so sure about a large hemlock. Does anyone have any thoughts or suggestions? Great Smoky Mountains National Park is holding several family-friendly hiking programs to encourage families to get out and hike the park trails, learn new skills, assist in trail stewardship and record their results! The programs are a part of a National Park Foundation grant funded through The Coca-Cola Foundation which expands the current "Hike the Smokies" and "Adopt a Trail" programs. Participants are asked to wear sturdy hiking shoes or boots and bring plenty of water and a lunch for each hike. For more information, please visit the "Hike the Smokies" website. Every Wednesday, June 20- August 11 at 11:00 a.m.
Join a ranger to learn the hiking basics and exploration techniques that are ranger-tested and kid-approved. Hike is 5 miles lasting up to three hours, but participants will have the option to turn around for a shorter hike. Accessibility: Unpaved gravel and dirt trail. Join a ranger for family hiking 101. Learn the fundamentals of safe and fun family hiking as you explore the remnants of an old-growth spruce fir forest. The final destination is Andrew's Bald where hikers will experience one of the most spectacular panoramic views in the Smokies. Roundtrip mileage for this newly renovated trail totals 3.6 miles and will take from 3-4 hours to complete. Difficulty: easy to moderate as trail has several short up-hill climbs. Hiking made easy! Enjoy this wide, graveled trail to Schoolhouse Gap and the Townsend park boundary. This ranger led hike traces the historical footsteps of school children who walked through this mountain gap to get to school. Well known for its spectacular collection of spring flowers, this is a great trail for families. Learn the basics of safe and fun family hiking; observe nature at its finest along a small mountain stream and experience the wildlife of a pine-oak forest habitat. Roundtrip mileage totals 4.4 miles and will take from 3-4 hours to complete. A 50 years old man was hit on the head by a falling limb. He died at the scene. Passenger on the motorcycle was not injured in the incident. Relationship of the two is unknown. 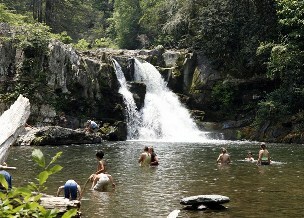 At a popular swimming hole near the Abrams Creek Campground, off the Cooper Road Trail, a large tree fell on 4 people. A 41 year-old woman was struck by the tree and was dead at the scene. A 7 year-old girl who was swimming in the creek was hit by the same tree. She was unconscious when pulled from water and given CPR by bystanders. The father of the 7 year-old girl was struck by same tree and sustained fractures to vertebrae, multiple broken ribs and a collapsed lung. The mother of girl was also injured by the same tree. Her injuries are less serious. The child and her father were flown to UT and the mother taken by ground to UT in Knoxville, TN. There are no updates on their condition at this time. * A man was struck by tree at the Methodist Church on the Cades Cove Loop Road. He suffered a back injury. * A man in Cades Cove was treated for an eye injury when a limb struck the windshield of his vehicle. * All 3 of these injured individuals were taken by ambulance to Blount Memorial Hospital. A severe thunderstorm hit the west end of the park about 6 pm yesterday. There were high winds associated with the storm. 100s of trees are down on roads between Metcalf Bottoms and the Abrams Creek areas on the west end of the park. Damage extends from Metcalf Bottoms to Abrams Creek in Cades Cove. NPS crews have swept all roads in storm-damaged areas to identify stranded motorists and those in need of medical attention. Power remains out at Cades Cove. Structural damage has not been assessed yet. Individuals with reservations for the Cades Cove campgrounds should seek other accommodations for the evening. No new information is expected until later in the afternoon. A severe thunderstorm swept through the west end of the Great Smoky Mountains around 6 p.m. yesterday evening, causing significant tree fall in a line stretching from Metcalf Bottoms across Cades Cove to Abrams Creek. Several emergency responses were underway late last night and the situation was continuing to evolve. Two fatalities have been confirmed – a man who died in a motorcycle accident a half mile east of Townsend Wye, and a woman at Abrams Creek who was killed by a falling tree. There have also been reports of multiple injuries. At the time of the report around midnight, ambulances were en route to Cades Cove to deal with three injuries and a cardiac incident. 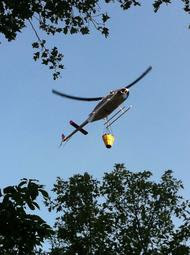 Three people in the Abrams Creek area were also injured; one was evacuated by ambulance and two others by helicopter. Many trees are down on both the Little River and Laurel Creek Roads. One lane of each road has been cleared for emergency vehicles. The Cades Cove and Abrams Creek areas have also received significant tree fall. National Park Service crews have swept all roads in storm-damaged areas to identify stranded motorists and those in need of medical attention. Emergency crews from Blount County are assisting park crews in the area of the Townsend Wye and at Abrams Creek. At the time of the report, priorities for park crews were to continue to get emergency personnel to individuals in need of medical attention and to evacuate those individuals from the park. Once this was accomplished, the need for overnight clearing operations was to be evaluated. Rangers will continue to work today to ensure all visitors and staff are accounted for and begin to assess needs for emergency response in the park’s backcountry. The storms produced wind gusts between 60 and 70 miles per hour, a lot of lightning, and left several thousand people without power overnight. As of this morning, Little River Road from Elkmont to the Townsend Wye, Laurel Creek Road, and the Cades Cove Loop Road are temporarily closed to access damage and facilitate clean up. In this episode of the Colorado Parks & Wildlife outdoor survival video series, outdoor expert Peter Kummerfeldt discusses the survival kit, including the three main components of that kit: fire, shelter and signal. Cyclists rejoice! The National Park Service announced today that it will expand bicycle access in parks nationwide, while preserving the Service’s responsibility to prohibit bikes in wilderness and other areas where they would have significant impact on the environment or visitor safety. The new rule, available online here, gives park superintendents the authority to allow bicycles on roads that are closed to the motoring public – like fire roads and roads used by park maintenance vehicles. Bikes are already allowed on park roads that are open to vehicles. This rule moves National Park Service decision making about where bike-use is appropriate from a regulatory to a planning process, while retaining rigorous environmental compliance requirements and mandatory public comment on proposals to open existing or new trails to bikes. Both fires were caused by lightning during the June 25/26 storms. Lower gas prices, higher visitation numbers for the year, and estimates from travel industry professionals for a busy travel season are top of mind as Blue Ridge Parkway rangers prepare for the Fourth of July holiday. Visitor and traffic safety on the Parkway is always of paramount concern, and in recent years strides have been made to decrease the number of traffic incidents. In 2001, a traffic study was initiated to determine the number of motor vehicle wrecks along the Parkway during a 5 year period, after the seeing a year with 450 wrecks on the Parkway. The study organized information about wrecks into several categories including type of vehicle, number and type of injuries, number and type of fatalities, precise dates and times, as well as locations of the incidents. Using this information, a traffic safety campaign was begun to monitor and reduce wrecks in the geographic areas identified as hotspots in the study. One of the major findings of the study indicated that areas with unique road features such as descending radius curves, or "spiral curves", and in some cases, overlooks, further contributed to loss of attention and distracted driving. Schedules were adjusted and law enforcement rangers began to patrol at the locations and at times identified in the study in an effort to reduce the number of wrecks. In addition, a new "aggressive sign" program was initiated to identify and place signs with symbols that accurately described and illustrated the nature of the curve and also illustrated the type of wrecks occurring in targeted areas. The first signs were installed in the Pisgah district of the Parkway at Mt. Lyn Lowery (Milepost 445.2) in August of 2002, an area that, that at the time, was experiencing an average of five wrecks a year. Since the sign installation in 2002, only 3 wrecks have occurred in that area, with only one reported injury. Several other locations were also identified, including an area near Linville Falls, where a 3 mile section of road was identified as a "High Collision Area" due to the number of unique curves occurring throughout that section. This area was seeing an average of 8 wrecks per year, several with fatalities. Various safety signs were installed in 2003, including "spiral curve" and "moto-man" signs. The moto man signs in particular are meant to address the high number of motorcycle wrecks the Parkway sees each year. Since the signs were installed in 2003, only 11 wrecks have occurred throughout this section, and of those only three reported injuries and there have been no fatalities. Other areas along the Parkway identified as high frequency wreck areas have also been signed and are experiencing similar reductions in incidents. To view a chart showing annual park wide wreck totals, please click here. Everyone knows that it's been extremely hot over the last several days. But to prove just how hot it's been, we don't have to look much further than the top of Mt. LeConte. Prior to this past Saturday the thermometer atop the mountain had never reached the 80 degree mark (since records have been kept). 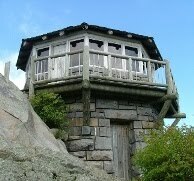 However, on June 30th, the LeConte Lodge recorded a new record when the temperature reached 81.4 degrees! Then, the very next day, it reached 81.5 degrees, and set another new record! Yesterday, the lodge recorded its third straight day of 80+ degree temperatures. Fortunately, the mountain received some much needed relief in the form of nearly two inches of rain. For more information on hiking up to Mt. LeConte via the Alum Cave Trail, please click here. The Appalachian Trail Conservancy (ATC) is pleased to announce the current recipients of grants generated by the Tennessee Appalachian Trail (A.T.) License Plate program, which helps fund projects to enhance the Appalachian Trail in Tennessee. Recipients include the Smoky Mountains Hiking Club, the Tennessee Eastman Hiking and Canoeing Club, and the Cherokee National Forest. More than $6,200 was awarded for projects to benefit the Appalachian Trail. Funding from the Tennessee A.T. Tag program has provided hardhats for A.T. volunteers working in Tennessee; food and volunteer appreciation materials for special volunteer Trail construction events on Roan Mountain and Pond Mountain; transportation of Trail rehabilitation materials to a remote location in the Smokies; and construction of a vehicle access barrier at Beauty Spot. "The Tennessee Appalachian Trail license plate was established as a means for Tennessee residents to support Trail programs in Tennessee," said Joe DeLoach of the Tennessee Eastman Hiking & Canoeing Club. "In some cases, such support might have been attainable through other funding sources, but not with the speed of a dedicated revenue stream. We say thank you to all the Tennessee residents who have purchased the Appalachian Trail specialty license plate, and we are very happy to apply those funds to four worthy projects." Since the program’s inception, the specialty plate’s sales and renewals have brought the ATC about $60,000. With an operating reserve established, planning is underway for additional projects later this year. The Tennessee A.T. Tag grant program is funded by drivers who purchase and renew their Tennessee A.T. specialty license plates. Fifteen dollars and fifty-six cents from each license plate purchase and renewal is returned to the ATC to support its work in the state. The funds generated are used to support A.T. greenway acquisition projects and Trail related work in Tennessee by the ATC. Specialty A.T. license plates are a way to support the ATC in its work to preserve and maintain the Appalachian Trail. Other states currently offering the specialty A.T. plates include Virginia, North Carolina, and Georgia. For more information about the ATC license tag program, please click here. Start training right now for the Ultimate Hike on the Foothills Trail this October. The reason you may want to start your training so soon is because the hike travels 28.3 miles - in just one day! The hike is sponsored by Ultimate Hike, an organization that is helping to raise money towards finding a cure for children's cancer, the #1 cause of death by disease in children. If you happen to live in the Chattanooga area, Outdoor Chattanooga will be holding an Information Meeting on July 17th, at 6:30 p.m., at their Coolidge Park facility on 200 River Street. The public is invited to learn how they can train for the event, which happens on Saturday, Oct. 13, 2012. Leah Bartlett, from Cure Search, will be there to answer questions about training, fundraising and the hike experience. No pre-registration is required for the meeting. Additional information meetings will be held on July 18 at Rock/Creek and July 20 at Cloudland Canyon State Park. Ultimate Hike events are scheduled for several locations around the country over the next several months. For more information, please click here.